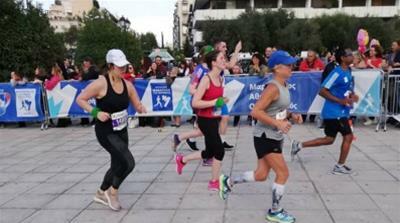 Fourteen kilometres into the Athens marathon, Athanasia Tsoumeleka was overcome with emotion. 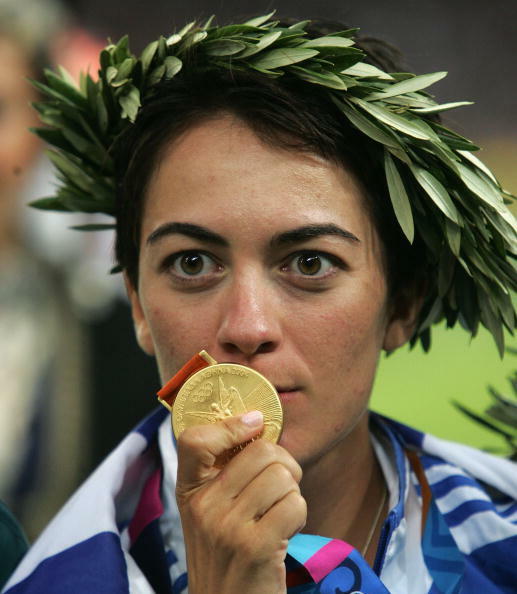 With tears in her eyes, the Greek Olympic gold medalist stopped running and began walking among a black-clad crowd lining the street. That was because she had just reached Mati, the grief-stricken coastal village near Greece‘s capital, Athens, where 99 people lost their lives to devastating wildfires some three months ago. “It was as if you were breathing the souls of the people that perished,” Tsoumeleka, winner of the women’s 20km walk in the Athens 2004 Olympics, told Al Jazeera. “The race felt like it was honouring the lost lives. “You could see that the people were trying to be happy and support us but there was endless grief in their eyes,” the 36-year-old said. 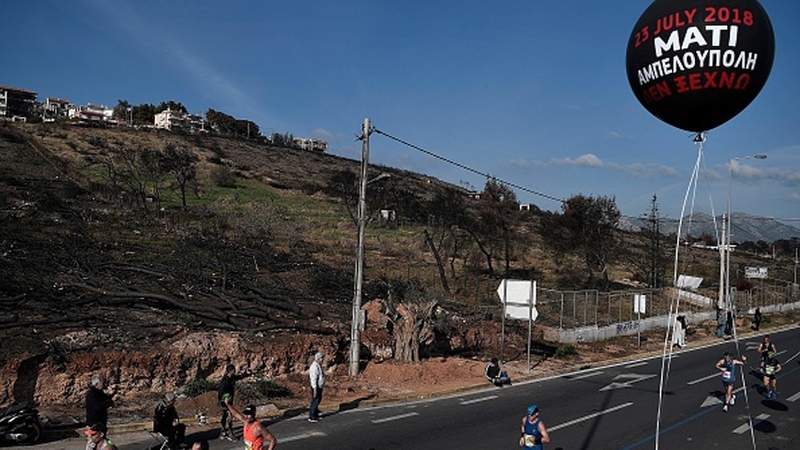 A record 18,750 participants from 105 countries on Sunday ran the historic 42km route of the Athens Classic Marathon, cutting right across Mati and passing through decimated forest areas as well as blackened and burnt houses. Banners saying “I will not forget” and “99 victims” were hung along the way, as black balloons flew into the sky. The spectators, many of whom were dressed in plan mourning black or dark t-shirts emblazoned with the words “I love Mati”, cheered and clapped to encourage the passing runners. “It was like a dignified protest but they were our warmest supporters,” Irini Vartzioti, who ran the race for the second time, told Al Jazeera. “It was very distressing. Everything was burned, and the people on either side of the road were dressed in black – you couldn’t help but start crying,” she said. Like Tsoumeleka, Vartzioti also stopped briefly when she reached Mati. She cut a small olive tree brunch from the side of the road among the charred forest which she carried until the finish line. On July 23, gale-force winds fanned soaring walls of flames that raged through Mati, a popular resort in the southern Attica region. 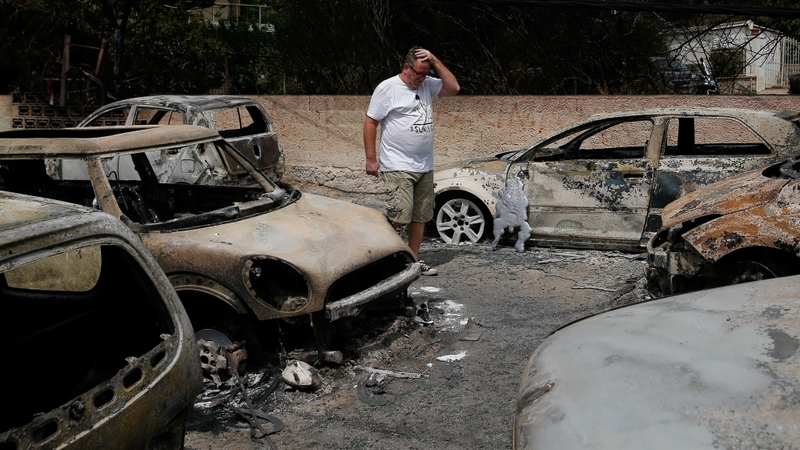 The blaze, one of the worst disasters to hit the country in recent decades, caught mostly local holidaymakers in their vehicles and residents of the seaside town in their houses. At least 99 people were eventually declared dead, many of whom had unsuccessfully attempted to flee into the sea, the only available shelter from the encroaching fire. In one case, authorities found the charred bodies of 26 trapped people, including small children, huddled closely together close to the edge of a steep cliff overlooking the coast. The tragedy plunged Greece, a crisis-hit country still down to its knees after years of recession, into mourning and underscored chronic grievances over inadequate emergency response and poor urban planning. In the lead-up to this year’s marathon, organisers said they would keep the original route that goes through Mati amid hopes to raise awareness and begin the “green revival” of the affected areas. 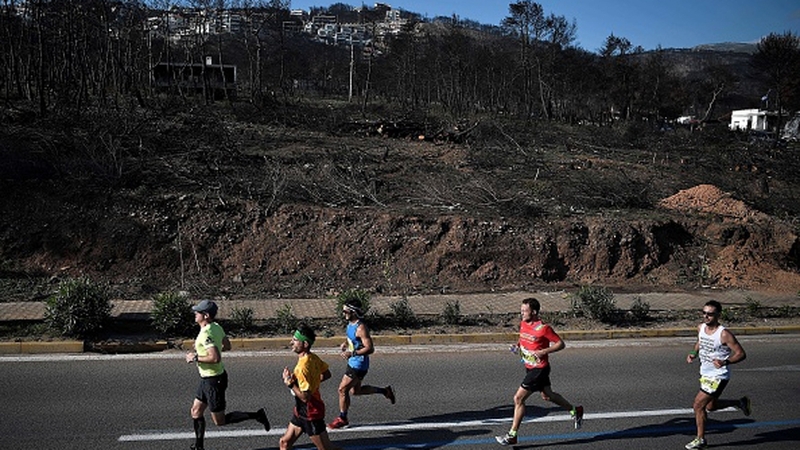 The Hellenic Athletic Federation (SEGAS) urged official sponsors and partners to participate in the effort with the launch of “Runners’ Forest“, a project seeking to plant trees over a four-kilometre stretch along the decimated marathon course. “Lives were lost, the environment was destroyed, thousands of people suffered,” Kostas Panagopoulos, head of SEGAS, told a press conference. Green bandanas with the project’s logo were also distributed at the beginning of the race and runners wore them in a gesture of camaraderie and support. Kenyan Brimin Kipkokir Misoi finished first in the men’s race, covering the distance in 2:10:56, while fellow Kenyan Shelmith Muriuki won the women’s event in 2:36:46. Dubbed “The Authentic”, the Athens marathon has given its name to all other long-distance footraces around the world. It marks the legendary feat of a soldier in 5th Century BC Greece who is supposed to have run in full armour the distance from Marathon to Athens to announce the Athenian victory over the Persians and then died.